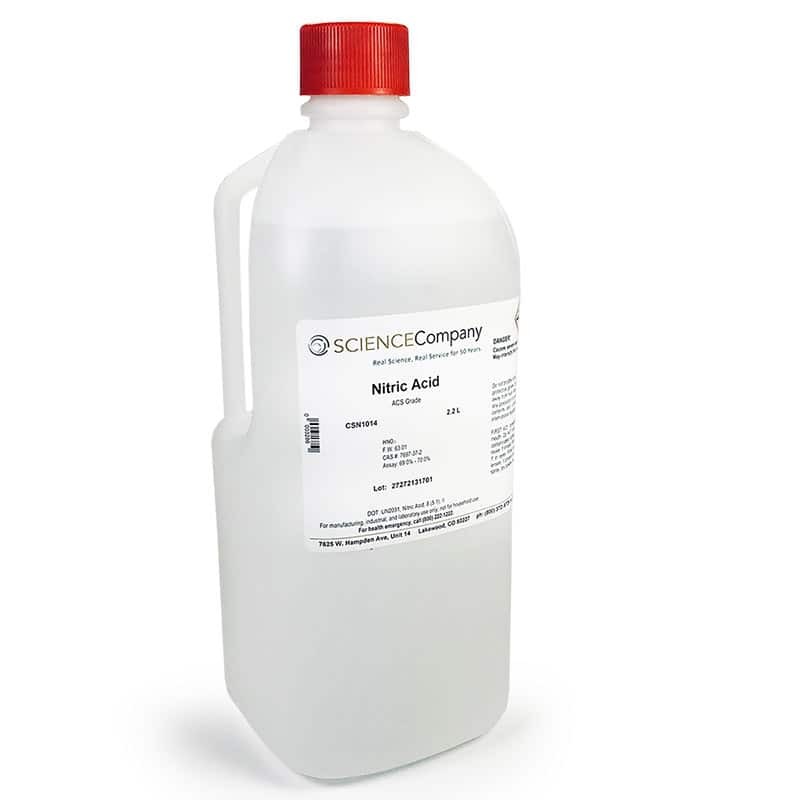 Nitric Acid, Concentrated, 2.2L for sale. Buy from The Science Company. This 2.2L size of Concentrated Nitric Acid is packed in a special PPQ resin bottle. 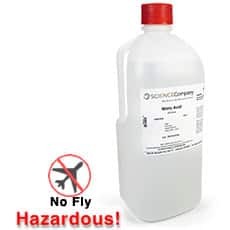 This bottle is safer than glass and will not discolor in contact with Nitric Acid solutions. This is the largest size Nitric Acid that may be commercially shipped. NOTE: Because of U.S. Dept. of Transportation packaging requirements, this 2.2L size ships in units of one, four, or six bottles per box. For example, an order for two bottles will ship in two separate boxes with two Hazardous Material charges. 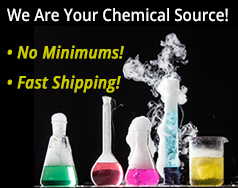 An order for four will ship in one box with only one Hazmat charge.